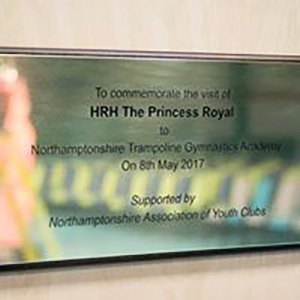 HRH The Princess Royal visits MEB Design Project - MEB Design Ltd.
On Monday the 8th May 2017 MEB Design directors Charles Darby and Paul Chester were delighted to attend the visit by HRH The Princess Royal to the Northamptonshire Trampoline Gymnastics Academy designed by MEB Design. 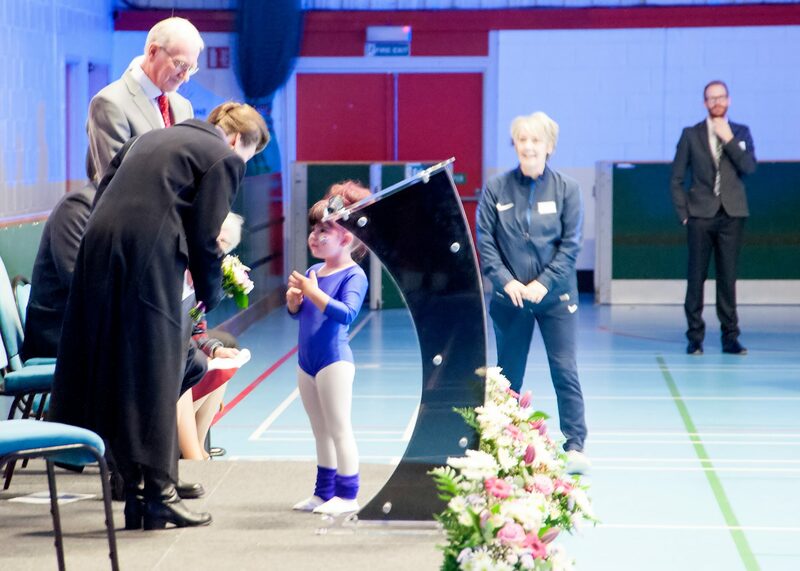 Princess Anne unveiled a commemorative plaque, delivered a speech and talked to the young people who had been performing. 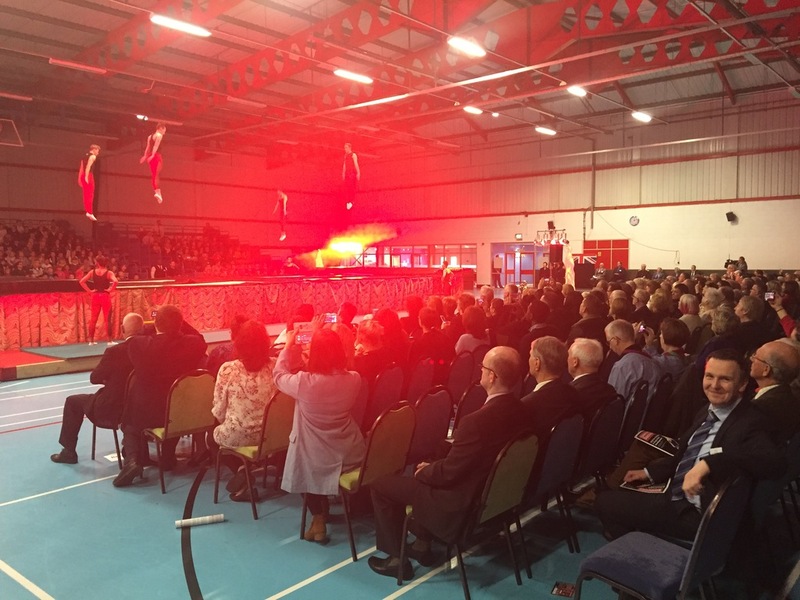 A souvenir programme was produced for the day in which the centre was described as a “A world class facility, purpose built for trampolining…the Trampoline Centre is widely regarded as one of the best training facilities in the world”. You can see a selection of photos from the visit below and read more on the NAYC website.